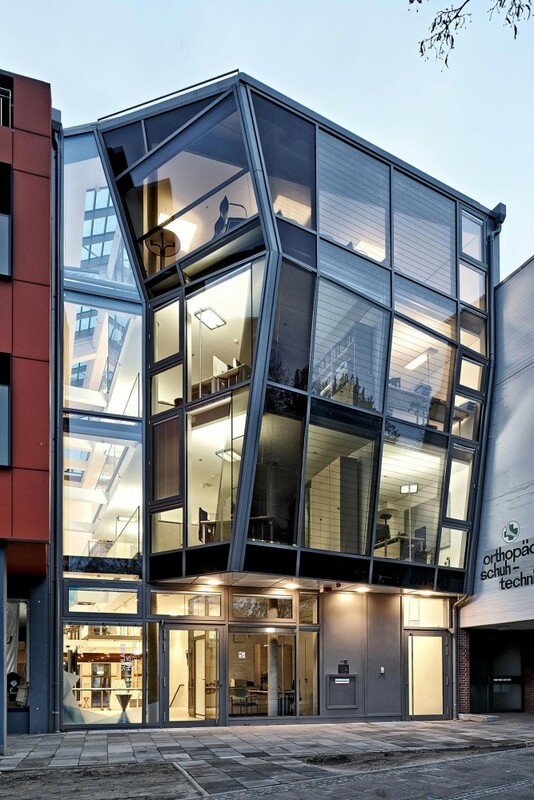 The Schlaues Haus Oldenburg (Smart House Oldenburg) is, first and foremost, a public building for the display of the surrounding region’s scientific expertise, as the "City of Science“. Situated in the city centre, the building serves as an important venue for people visiting Oldenburg, thanks in part to the tourist information center located at ground level. The idea of a "Smart House“ is reflected in the architectural concept of the building. It is energy efficient, sustainable, ultramodern and flexible, and, hence, able to suit all kinds of requirements. In planning, sustainability begins with the choice of the site. "Schlaues Haus“ is situated at "Schlossplatz“ (castle place) in a historic city district and the Haus links the castle to the North with the castle park to the South. It is the oldest building in town - a bourgois edifice dating from the 16th century longsince empty. The historic landmark has now undergone a renovation and expansion. Visitors today embark on an architectural journey that encompasses five centuries of advancement & evolution in passing through the existing, old building to the modern, daylit structure. It is here that the crux of sustainability is centered – in the bracket that links the oldest building in town with the most progessive one – where the preservation and improvement of a historically-listed architectural landmark occurs in synergy with the successful implementation of innovative and progressive energy efficiency. 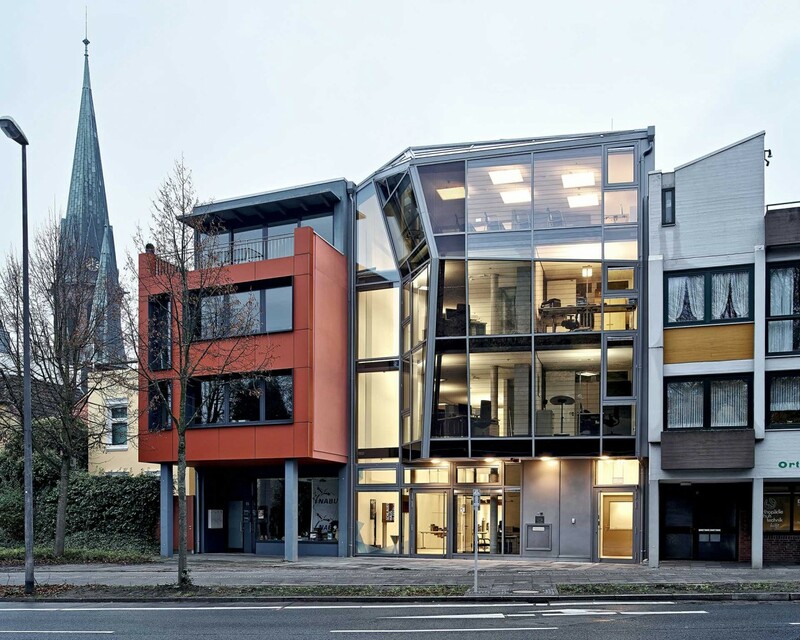 The ensemble consisting of the old Haus and addition fits harmoniously into the surroundings. 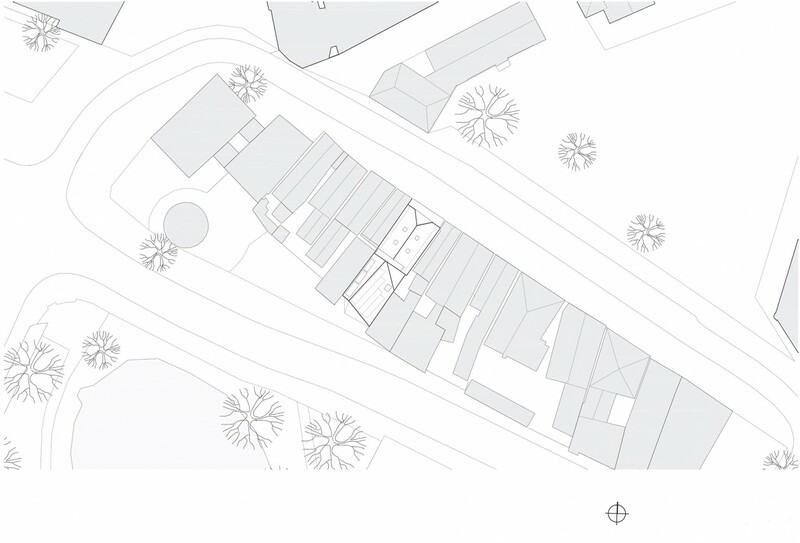 The dimensions of the quarter are referred to by the structure of the new Haus. 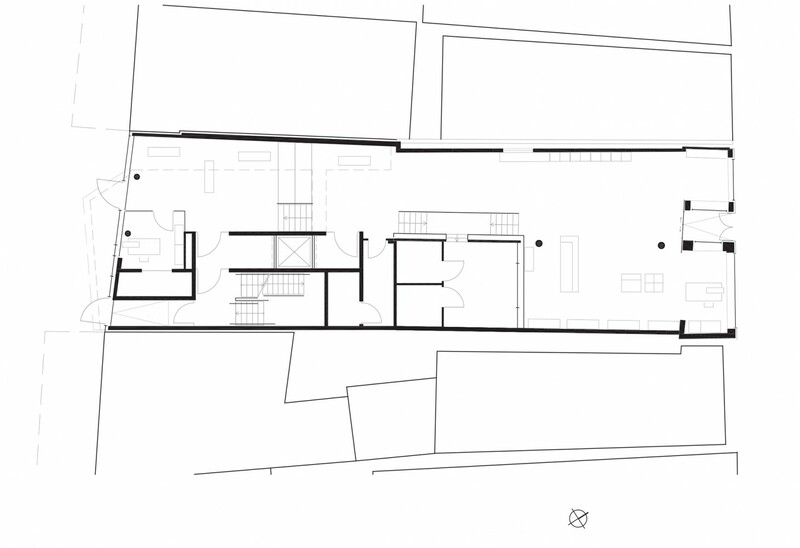 The split level organization allows users to experience the transition between the existing building and new building through the use of projecting masses (levels) and voids. The desire to create a passive intelligent building that optimises use of daylight has guided the design of the Schlaues Hause addition. Facing Schlosspark, the innovative, new South facade, with its integrated sun protection, is one of the energy concept components. The building envelope was developed on the basis of energy and climate simulations, and thus ensures an optimum balance of solar gain in the summer with minimal heat loss in the winter. A daylight corridor serves as a solar chimney and supports the use of natural ventilation and fume exhaust. The energy for heating and cooling is generated with a heat pump and through the use of geothermal installations. Electrical power is produced by photovoltaic panels on the roof and facade. With the inclusion of all these measures, the energy consumption of the building is ultimately reduced to zero. 1.150 qm / 12,400 sq.ft. 4.560 cbm / 161,034 cu.ft.